all about rolling painted eggs down hills or cracking open a chocolate egg shaped shell. Be a little creative this April and have ‘The Good Egg’ themed menu. This little white and yolk shell packs a protein punch well above it’s weight so introduce this theme over the Easter holidays. 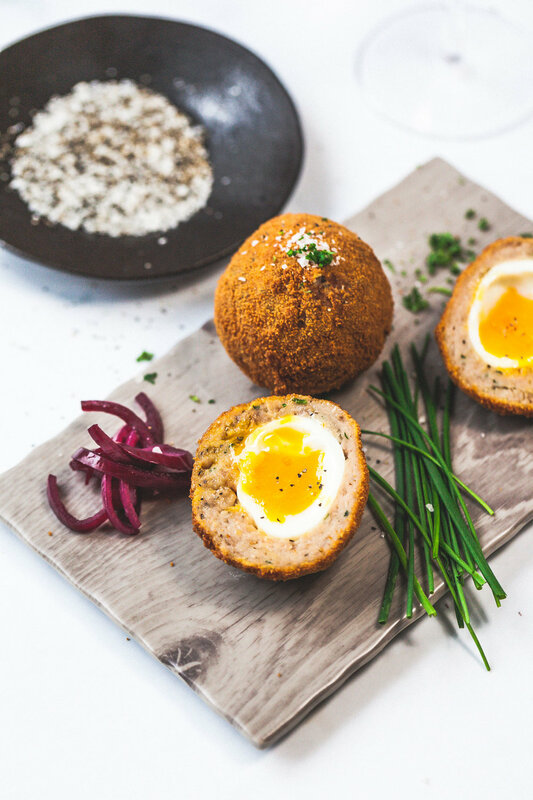 We have a Scotch Egg that can be used for a starter or a main, a light egg and new potato salad, a tasty Eggs Benedict perfect for brunch and a chocolate Easter cake to satisfy the sweet tooth of your customer base. This starter is eggs-tra special. Sausage meant, egg in a crumb that is then deep fried.